This article explores the way artificial intelligence (AI) is inserted within its environment through the Internet of Things in a particular domain, agriculture. As a result, “smart agriculture”, a whole new way to produce food, is born. We look at the way various actors include AI in farming and thus envision and develop the future of agriculture. We then evaluate consequences on the best way to develop and integrate AI into real life activities. Meanwhile, we assess the impact of smart agriculture not only on agriculture security, but also on governance and geopolitics. This is the second article of the series exploring the interface between artificial intelligence and its environment, as well as related impacts on society, politics and geopolitics. This twin interface is composed of sensor and actuator. A sensor is what senses the world around the AI, be it digital or real, to input it into the AI-agent. The actuator is the end of the AI process. It allows outputting the results found by the AI-agent in the world, again, be it digital or material, in a way that is understandable to human beings. This twin interface is a disruptive driver for AI. Indeed, success in handling and developing sensor and actuator, or on the contrary, failure to do so, could favour the boost or burst of the current AI development phase for actors. Furthermore, the key importance of this interface implies it is a stake in the current race to AI-power, besides the other drivers of AI. We started exploring in detail this twin interface in the first article of the series, “Inserting Artificial Intelligence in Reality“. Using those examples, we found that we could best understand and handle AI if we conceptualised the interface as a sequence between worlds: the world intelligible to humans and the world intelligible to AI-agents. Finally, we started looking at the way AI-agents could be integrated according to different realities: digital-digital and digital-material. Content – Published in two parts (see here for the second part). The table of contents becomes interactive only for members. This article, published in 2 parts, dives deeper into the twin interface that allows integrating AI in human reality. It notably looks for actuators. In the first part, we look at the Internet of Things (IoT). Indeed, it is a first type of ecosystem within which AI-agents may find and use sensors and actuators, and thus be fully operational and thrive. Thus, we explain what is the IoT and why it is a favorable ecosystem for AI-agents. Then, we focus as case study on “smart agriculture” aka the Internet of Food. We explain first what is smart agriculture. Meanwhile, we highlight how it is an answer to the challenges of current and future food security. In the second part, we look at how companies whether giant ones, start-ups or projects, insert AI-agents in the real world. We notably feature “John Deere FarmForward 2.0 – Revolutionizing agriculture, one plant at a time”, which goes way beyond what the usual giant actors of the digital world, such as the U.S. GAFAM, promote. John Deere’s video and others’ endeavours help us imagine how smart farming will look like. Their effort at creating not only sensors, but also actuators is crucial. Finally, we turn to the impacts and consequences of smart farming. We find first that, considering the stage of development of AI, those actors that are currently crucial to see a further implementation of AI are not the giant digital companies, but those offering a real operationalisation of AI in the physical world. We then highlight how new beholders of data and thus related knowledge could impact the power of traditional actors. Third, we look at the new security needs of agriculture and how this potentially impacts international relations and geopolitics. This is a premium article. To access this article, you must become one of our members. Log in if you are a member. A pdf version of the article is available for members with the second part of the text. Featured image: Herney via Pixabay, Public Domain. *Note that, as with previous estimates, this trend does not include the devastating impacts of climate change. Likewise, other disasters a large population could foster are not considered.. Among others, we already pointed out this possibility in 2008, see also, for example David Talbot, “U.N. Predicts New Global Population Boom“, MIT Technology Review, 2014. Ackerman, Jennifer, “Food: How Altered?“, National Geographic, nd. 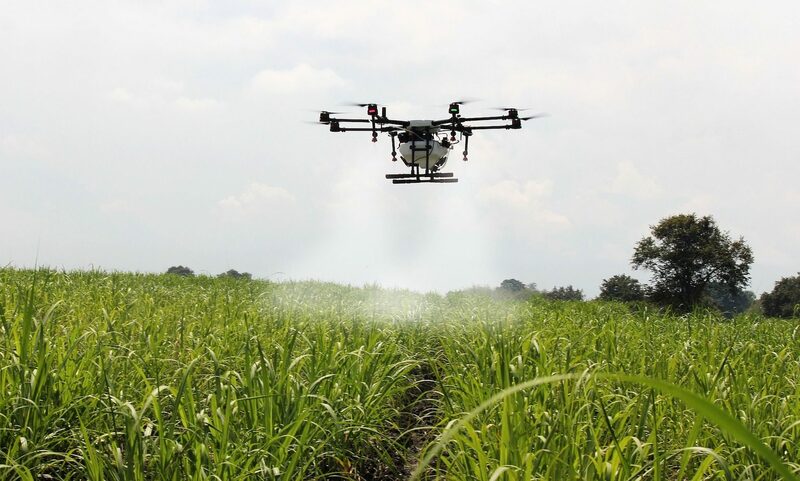 American Institute of Physics, “Autonomous weed control via smart robots“, Science Codex, 27 March 2019. Ashton, K. (22 June 2009). “That ‘Internet of Things’ Thing”. Beecham Research,”Machine to Machine (M2M) – IoT”. EESC European Economic and Social Committee, “Internet of Things — An action plan for Europe“, COM(2009) 278 final; OJ C 255, 22.09.2010, p. 116-120. Fourtané, Susan, “IoT and Smart Agriculture Are Building Our Future Cities Today“, Interesting Engineering, 7 October 2018. Gagliordi, Natalie, “How self-driving tractors, AI, and precision agriculture will save us from the impending food crisis“, TechRepublic, 12 December 2018. ITU-T Rec. Y.2060 (06/2012) Overview of the Internet of things. Magrassi, P. and Berg, T (12 August 2002). “A World of Smart Objects”. Gartner research report R-17-2243. Mattern, Friedemann; Floerkemeier, Christian (2010). “From the Internet of Computer to the Internet of Things” (PDF). Informatik-Spektrum. 33 (2): 107–121. doi:10.1007/s00287-010-0417-7. McLellan, Charles, “Smart farming: How IoT, robotics, and AI are tackling one of the biggest problems of the century“, TechRepublic, 12 December 2018. Raiwani, Y.P., “Internet of Things: A New Paradigm“, International Journal of Scientific and Research Publications, Volume 3, Issue 4, April 2013. Shubo Liu, Liqing Guo, Heather Webb, Xiao Yao, Xiao Chang “Internet of Things Monitoring System of Modern Eco-agriculture Based on Cloud Computing“, 2169-3536 (c) 2018 IEEE, DOI 10.1109/ACCESS.2019.2903720, IEEE Access. Talbot, David, “U.N. Predicts New Global Population Boom“, MIT Technology Review, 2014. Weiser, Mark (1991). “The Computer for the 21st Century“ (PDF). Scientific American. 265 (3): 94–104. doi:10.1038/scientificamerican0991-94.